Next Toxicity Mastery Course Starts July 22, 2019! 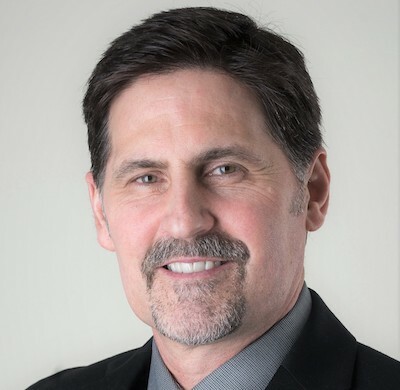 Click To See Dr. Woeller's Video, "Using Integrative Medicine to Treat Environmental Toxins"
Each Year, An Estimated 1.2 Billion Pounds of Toxic Chemicals Are Released Into The Air & Water in The United States alone, with approximately 80,000 Different Chemicals. Less Than 10% Have Had Any Safety Evaluations. Fortunately, there are things that can be done to limit exposure to chemicals, reduce their negative impact on health and remove them from the body. Toxicity Mastery will give you the tools you need to quickly assess and treat a multitude of environmental toxicity problems - INCLUDING MOLD EXPOSURE - with your patients/clients. “Better Living Through Chemistry” was a sales slogan used by a major chemical company back the 1930’s. As we advance in our ability to make products that are more efficient and effective, we have also increased our toxic burden in the world. Chemicals play a significant role in many of the products that we take for granted in modern society such as adhesives, ceramics, electronics, plastics and petroleum. Modern agriculture is an area where the use of specific chemicals has allowed for mass food production resistant to common pests. However, the impact of these chemicals on the environment and human health can be severe and lasting. We have yet to fully uncover the long-term effects of these chemicals in our environment, in our food and in our bodies. One of the most vulnerable groups at risk for the detrimental effects of various chemicals are pregnant women. In research done by the National Health and Nutrition Examination Survey (NHANES) the exposure rates to various chemicals such as “polychlorinated biphenyls, organochlorine pesticides, PFCs, phenols, PBDEs, phthalates, polycyclic aromatic hydrocarbons, and perchlorate were detected in 99–100% of pregnant women.” Birth defects and developmental disabilities such as autism are often linked to chemical exposures. The chemical glyphosate, which is used worldwide in a popular herbicide, is now suspected to be the causative agent in various birth defects, premature babies and miscarriages. 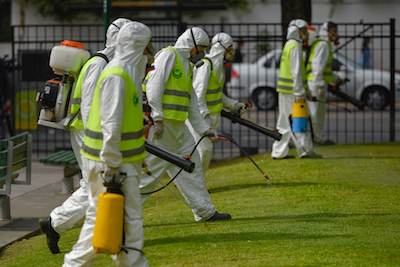 Glyphosate is suspected in the increased rates of many other diseases, including various cancers, diabetes, dementia and other neurological disorders. 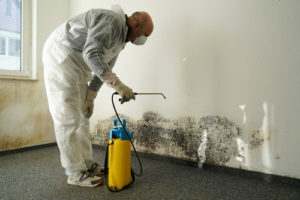 Mold toxins, too, such as Aflatoxin M1 (which comes from Aspergillus mold in various foods) or Verrucarin A (which is linked to the dangerous black mold called Stachybotrys in water damaged buildings) are more common than people realize. These mycotoxins (a.k.a. 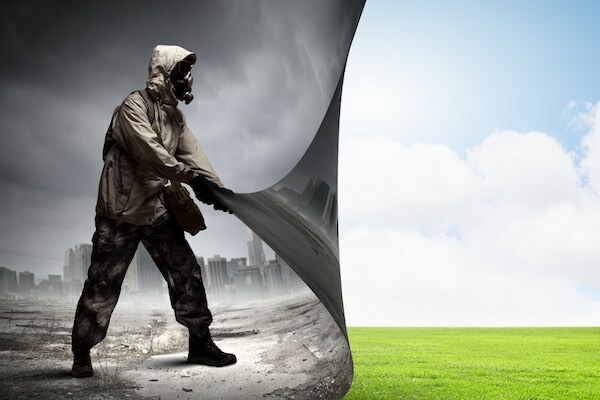 mold toxins), and many others, are some of the most prevalent toxins in the environment. It has been determined in Europe that upwards of 20% of all grains harvested are contaminated with mycotoxins. These toxins, along with environmental chemicals, are linked to various chronic health problems from allergies, autoimmune diseases and joint and body pain to neurological disorders, respiratory illnesses and immune disorders. Chemical and mold toxin exposure and the detrimental health effects is a largely untapped area of integrative medicine intervention for people with chronic health problems. Now more than ever, it is imperative that every integrative health practitioner have a complete and comprehensive plan for assessing and treating chemical and mold exposure and toxicity. With the Toxicity Mastery Course! Learn the hidden dangers of various environmental chemicals and their link to various physical and mental health problems.. Learn the hidden dangers of mold toxic chemicals (a.k.a. mycotoxins) and their link to various physical and mental health problems. How chemicals and heavy metals impact the methylation system, mitochondrial function, hormones and predispose to many autoimmune diseases. 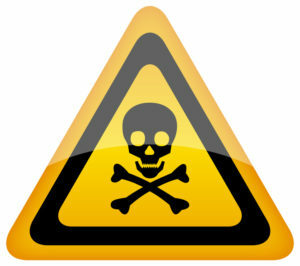 Which chemicals are most at risk for causing problems with yourself and your patients/clients. How to utilize and interpret The MycoTOX Profile (a.k.a. mycotoxin test) from Great Plains Laboratory and how it correlates with other tests such as the Organic Acids Test (OAT). Develop strategies to reduce exposure to environmental chemicals. Which supplements and foods are most helpful for combatting the negative effects of environmental and mold chemicals. How to utilize and interpret various environmental chemical tests such as the toxicity panels from Great Plains Laboratory, including their GPL-TOX Profile (which evaluates for over a 170 chemicals) and the Glyphosate test. Which biomarkers from other integrative medicine testing such as Organic Acids Test (OAT) can suggest environmental chemical problems. For example, the Succinic marker on an OAT has a strong link to toxic chemical exposure. How to access protocols such as infra-red sauna, ion foot cleanse and heavy metal detoxification that can be used for both adults and children. This also includes special needs individuals like children with autism, who often have difficulties with environmental chemicals and detoxification. Learn why digestive system problems can often contribute to ongoing problems with toxins. How to effectively implement digestive system detoxification to improve the overall health of your patient/client. We've Jam Packed Everything Into This 9 Module Toxicity Mastery Course to Flatten Out The Learning Curve, So You Can Quickly & Successfully Incorporate These New Tools Into Your Practice! Weekly lesson webinars (9 total) with Drs. Woeller and/or Tranchitella on their specific topic of expertise. Each webinar is presented LIVE, and recorded for later viewing. Live Q&A sessions with Drs. Woeller and Tranchitella. These sessions are presented LIVE, recorded for later viewing, and are meant to support the lecture material, but are open to any topic of interest you may be encountering in practice. 24/7 access to Drs. Woeller and Tranchitella through the members-only Toxicity Mastery Course Forum. This forum is used by you to post questions to the doctors. Office documents, templates, treatment protocols, patient handouts, etc. Many of these documents are open-access (brandable), which means you can use at your discretion for your own logo placement, etc. to be used within your practice. The course material is meant to make this process of integrative and functional medicine for toxicity issues as turn-key as possible. Color slides in PDF format for all lectures, as well as printouts that can be used during the webinars for note-taking. Certificate of Completion regarding GI Mastery after successful completion both course exams. This course also qualifies for CEU/CME Credits (check with your governing board in your state on CEU/CME requirements and accepted accreditation). Additional time after the course ends to have access to the webinar recordings, and to spend on catch up for exam completion. In addition to the live Module Lessons and Q&A webinars there are hours of recorded Breakout Lectures, including subjects such as Methyl B-12 Therapy, Interpreting The Hair Analysis Lab Test, and Acetaminophen Toxicity. • The prevalence of various environmental toxins and their link to various health disorders. • Mitochondria dysfunctions linked to environmental toxins. • Using the Organic Acids Test (OAT) in the assessment of mitochondrial problems related to metal and non-metal toxicity. • Overview of common metal and non-metal toxins that can adversely affect individuals with autoimmune, autism, chronic fatigue, metabolic and neurological disorders. • Utilizing the Great Plains Laboratory Chemical Toxicity Profile (GPL-TOX) in clinical practice. • How to interpret test findings, including various clinical case examples. • Supplements to support cellular detoxification. • Continuation of utilizing the Great Plains Laboratory Chemical Toxicity Profile (GPL-TOX) in clinical practice, including test interpretation and clinical case examples. • Sauna therapy for detoxification. • Overview of other detoxification options, e.g. Ion Foot Cleanse. • Understanding the adverse role glyphosate exposure on digestive health. • High prevalence of glyphosate exposure linked to Clostridia bacterial infections. • Glyphosate and heavy metal toxicity. • Steps to avoid glyphosate exposure and reduce its negative impact on health. • Understanding the differences between various heavy metal tests such as hair, blood, and urine assessments. • Why you cannot solely rely on one test to determine levels of heavy metals. • Using different heavy metal tests for different types of individuals, e.g. children versus adults or autism versus non-autism. • How to interpret test findings, including various clinical examples. • Supplements to support heavy detoxification. • Various methods for heavy metal detoxification, e.g. DMSA, DMPS, natural remedies, oral versus intravenous. • Learn the role of Ion Foot Cleanse in detoxification support. • Various strategies for other routes of detoxification support. • Methylation biochemistry and detoxification. • Nutritional options for supporting detoxification. • Learn how mycotoxins can adversely affect health. • Utilizing the Great Plains Laboratory MycoTox Profile (GPL-MycoTox) in clinical practice. • Learn how to identify various mycotoxins such as Aflatoxin M1, Ochratoxin A and Verrucarin A (which comes from Stachybotrys mold) and which ones come from food and environment. • Correlating MycoTox information with the Organic Acids Test. • Supplements to help with mold and mycotoxin exposure. • Continuation of Utilizing the Great Plains Laboratory MycoTox Profile (GPL-MycoTox) in clinical practice. • Interpreting test findings, including various clinical case examples. • Other methods of detoxification for mold toxins, e.g. sauna. • Learn how to implement an effective bowel and liver detoxification program and why this is important for individuals with environmental toxicity. • The role of Phase 1 and Phase 2 detoxification. • Types of bowel and liver detoxification programs. • Step by step guide to bowel detoxification. • What complications can occur with a detox and how to manage common problems in doing a bowel detoxification program. PLUS BONUS LECTURES, LIVE Q&A WEBINARS & CASE REVIEWS! 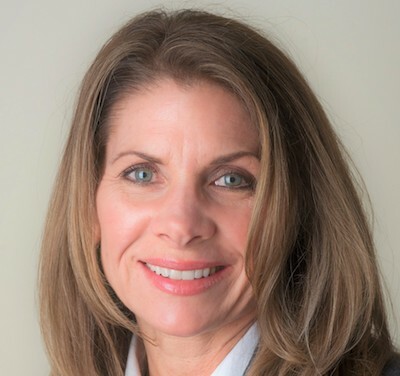 "I look forward to teaching you about the latest in environmental and mold toxicity testing including lab evaluations for chemical and mold exposures like organophosphates, 2-4D (agent orange derivative) and glyphosate, as well as various heavy metal tests of hair, urine and blood. In addition, the incorporation of these tests along with other integrative medicine assessments like the Organic Acids Test make a powerful combination of lab to identify hidden toxic stressors. Then, putting this information together to develop comprehensive treatment programs of utilizing therapies such as infra-red sauna, ion foot cleanse, methylation detoxification support, heavy metal chelation and more helps to transform the health of individuals dealing with chronic health ailments. I have worked clinically for nearly two decades implementing various integrative medicine protocols and practices that have helped 1,000’s of individuals with chronic health issues, and we will show you in-depth how you, too, can incorporate these protocols into your practice." What is the Toxicity Mastery Course? The Toxicity Mastery Course is a 9 module intensive online course presented by Drs. Kurt Woeller and Tracy Tranchitella on common, but often overlooked and mistreated, disorders related to environmental and mold toxins. The doctors approach various health disorders correlated to environmental toxins such as autism, autoimmunity, chronic infections, gastrointestinal, immune and mitochondrial dysfunction and neurological disorders from an integrative medicine perspective along with specifics regarding various diagnostic tests such as the Great Plains Laboratory GPL-TOX and Myco-TOX Panels, Glyphosate and Organic Acids Test, as well as other testing for heavy metals, e.g. hair, urine, blood. This course is both comprehensive and clinically practical for any health practitioner. It is also available to non-practitioners too who are interested in learning more about how environmental toxins may be impacted their own health of a family member. The Toxicity Mastery Course is specifically designed for health practitioners. The lecture material and support documentation are geared towards professionals with a background in health sciences, but the course is open for the layperson as well who is interested in learning more about their own Environmental Toxicity issues. Do I Have to Have Some Other Type of Integrative Medicine Training Before I Can Participate? No. You do not need to have prior training in integrative medicine prior to participating in The Toxicity Mastery Course. You will find that this course provides a good overview of integrative medicine principles. Yes, but the course will be taught in English. This course is available worldwide, so long as you have access to a computer, reliable internet connection, and a good understanding of the English language. Do I Have to Have a License to Practice Integrative Medicine? Yes. You need a medical license to practice medicine. However, providing integrative health and nutritional consultations is available through other types of licenses and certifications depending on your particular state or country of residence. Will There be Tests and/or Examinations Required For This Course? Yes. This course will offer exams for those seeking an “Certificate of Completion.” Anyone can participate in the course and learn the material without taking the exams, but they will not receive this certificate without taking and passing the examinations. There are 3 exams and to receive the certificate, an 80% cumulative score from both exams must be obtained. Are Continuing Medical Education (CME) or Continuing Education Units (CEU) Credits Available For This Course? Yes. Those who complete this course will receive CEU/CME credits (issued upon their request). It is the responsibility of the student to check with their licensing agency in their state, country or province on CEU/CME requirements and accepted accreditation. Will I Have Access To The Doctors if I Have Questions? Yes! The doctors are available for questions through the live Q&A sessions, as well as via the Private Forum. You can post questions to the general forum or privately to the doctors. They monitor the forum frequently and respond to questions in a very timely fashion. What Will I be Able To Do Once I Have Completed The Toxicity Mastery Course? This course will provide you with detailed information about integrative medicine testing such as identifying specific markers on the Organic Acids Test from Great Plains Laboratory as they relate to environmental toxins. Also, detailed analysis of other testing will be covered such as the GPL-TOX, Myco-TOX and Glyphosate profiles from Great Plains Laboratory and heavy metal testing from Doctors Data, Great Plains and others. Practical information regarding various therapies, treatment protocols, troubleshooting difficult cases, and much more will be provided. As a health care practitioner, you will be able to take this information and apply it in your practice with patients and clients immediately. As a parent of a special needs child your will be able to take the same information and work with your personal health care provider in ways to help your loved one. When do The Weekly Webinars Take Place? The Lesson webinars will primarily take place weekly, unless otherwise indicated on the course schedule. Please see the Schedule for exact days and times. Dates and times may be subject to change. When do The Q&A Sessions Take Place? The Live Q&A sessions with Dr. Woeller will take place after modules 3, 6, and 9. Please see the Schedule for exact days and times. Dates and times may be subject to change. What Happens if I Miss or Cannot Make The Scheduled Live Webinars or Q&A Sessions? Each webinar and Q&A session will be recorded and posted on the site within a few hours. Therefore, you will never be without that week’s recorded information. Do You Provide Lecture Material & Other Patient/Client Forms That Can Be Used in Practices?? Yes. Lecture slides, course material, including office form templates, program examples, etc. are offered through this course. How Can I Incorporate This Material Into My Medical Practice? The benefit of this course is your improved knowledge regarding integrative medicine regarding environmental chemical toxicity. This will immediately make it easier for you to identify those patients or clients who may benefit from this type of approach, and also allow you to assess their needs more efficiently. The course material provided will also help you streamline office systems for laboratory testing, interpretation and treatment protocols. What is The Tuition for The Toxicity Mastery Course? Tuition for the entire 9 module program is $2,770. There is also a greatly reduced “Early Bird” rate, plus a 3 pay option, where you can break the amount into 3 payments. We accept Visa, MasterCard and American Express, as well as Paypal. No cash or checks are accepted. Payment is made through PayPal, but you do not need a PayPal account to use Paypal. You may use your credit card. Why Wait? Sign Up Now! Limited Space Available. Toxicity Mastery Starts July 22, 2019! Course Materials - Color Slide pdf’s, Supplement & Medication Protocols, Office Forms & Documents, Patient Program Examples, Clinical Intake Questionnaire, & More. Need Smaller Payments? Use Our 3 Pay Option! We are so sure you will love this Integrative Medicine Academy training course, that we will give you your money back if you don’t agree it was well worth the cost. Drs. Woeller and Tranchitella are dynamic and inspirational speakers & teachers, and are gifted with the ability to breakdown complex concepts and put them into easy-to-understand pieces. 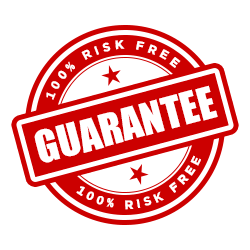 We are so confident that you will enjoy this training course, that we offer a No Hassles, No Problems, Money Back Guarantee. Basically, if you don’t like it, we don’t want your money! Enroll in the program. After the first module, if you’re not completely satisfied by what you’ve received, simply send us an email within 7 days after the delivery of Module 1, and we’ll give you a full refund on the course. Learn How to Add Toxicity Treatment to Your Practice! 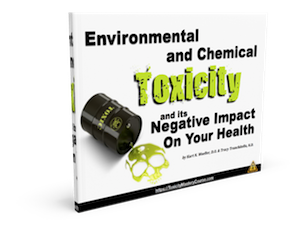 This eBook will show you what common toxins are in the environment and how they can adversely affect health. For example, the herbicide glyphosate and disrupt the health of the digestive system and predispose to intestinal problems. Also, certain heavy metals like Aluminum and Lead are linked to neurological conditions.